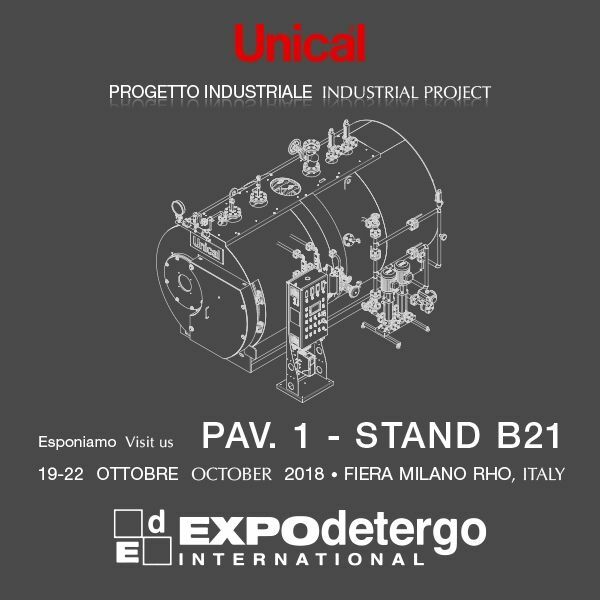 We are displaying at EXPODETERGO, International Exhibition dedicated to machines, technology, products and services for laundry, ironing and textile cleaning that will take place from 19 to 22 October 2018 in Fiera Milano Rho. - Steam Generators with overheated water, hot water with high and very high power for productive cycles and/or big powers, textile industries, food industries, hospitals etc. All the products are realized, on the basis of the most updated technology, with PATENTED SMOKE PIPES as warranty for performances until 96%, special IML control board with a touch screen which allows you to manage it up to 72 hours without any supervision.